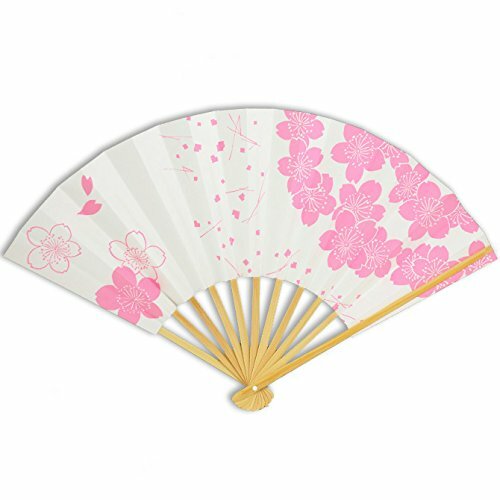 Japanese Geisha Odori Dancing Hand Sensu Stiff Folding Fan, Pink Cherry Blossom Pattern by Yokohama Gifts at H Highland. Hurry! Limited time offer. Offer valid only while supplies last.